THESE “FLIP FLOPS” HAVE NOTHING TO DO WITH FOOTWEAR! Terri Held it in 2017; Pam holds it in 2018. Who will hold it in 2019?? 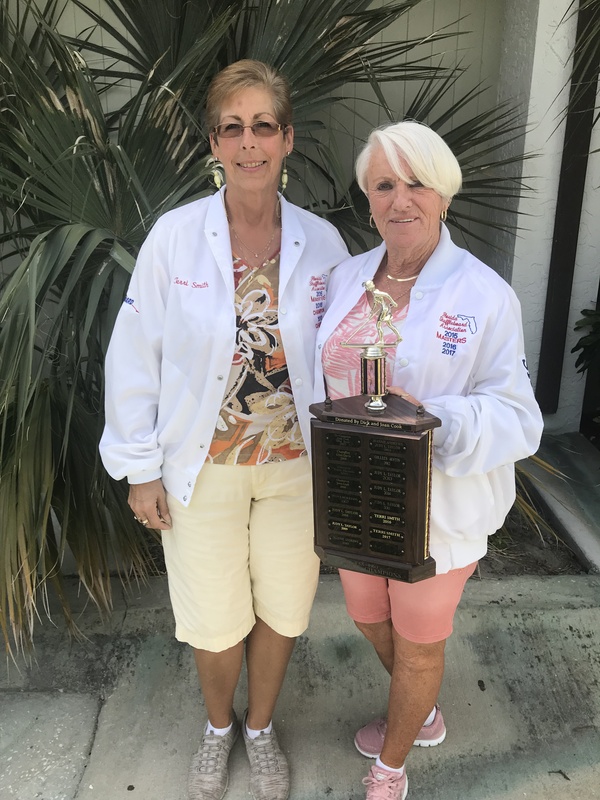 THE SWC DISTRICT IS VERY PROUD OF THE STATES TOP 2 LADIES SHUFFLERS (FLORIDA STATE MASTERS) AGAIN!! IN 2017 IT WAS TERRI SMITH FIRST AND PAM NURNBERGER SECOND. THIS YEAR (2018) IT “FLIP FLOPED” AND PAM NURNBERGER WAS FIRST WHILE TERRI SMITH IS SECOND. CONGRATULATIONS FROM ALL SWCD PLAYERS! Sent along by proud husband, Ron Nurnberger on behalf of all SWC Shufflers!! Posted by Stan McCormack. 2018 04 06 15:06. 1 Response to THESE “FLIP FLOPS” HAVE NOTHING TO DO WITH FOOTWEAR!